The EBIT WEEK is a four-day holiday program presented by the Faculty of Engineering, Built Environment and Information Technology (EBIT). 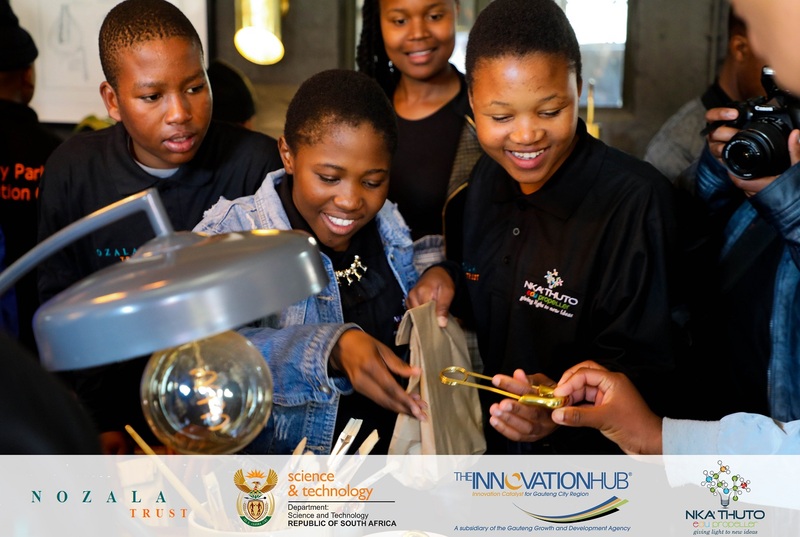 It is an amazing opportunity for learners to learn more about the departments of Engineering and Information Technology. This program is specifically for Grade 10,11 and 12 students. They are introduced to the practical and theoretical aspects in order to help them make great career choices. I, Joy Mathabatha, was there for engineering and UP is one of the largest engineering schools of its kind in the country and has a variety of departments that I will mention later on. We arrived at the Groenkloof campus residence and registered the sorted accommodation arrangements. We then met our group leaders and group-mates (I was in group 3 and the leaders were Aliska and Lwethu). Afterwards, we took buses to the main campus and went to one of the lecture halls called Thuto 1-1. The Dean of the Faculty, Prof Sunil Maharaj, gave us a warm official welcome and I learned that the faculty is the leading presenter of locally relevant and international competitive programs in engineering at both undergraduate and postgraduate levels. We met other great leaders such as Mr Julian Pienaar, Estie Powell, Ms Caro Marx and Mr Joshua Van As who gave us great advice. Dinner was served just after leaving the lecture hall at Adlers. After dinner, we headed back to Groenkloof campus and we had our group activities such as creating a mascot and a war cry. And then finally, it was lights out. We gathered with group leaders for a roll-call just before heading to Alders for breakfast. We attended a chemical engineering lecture at Thuto 1-1 where we were taught about the ins and outs of this department and then we later had a lab visit to the chemical labs and met up with most chemical engineers. Then at M5 5-10, we had a mining engineering lecture where we learnt more about it and then went to its labs where we had actual 3-D videos of mines. Before heading to Steers for lunch, we went to Thuto 1-1 for an Industrial and Systems lecture. We headed to the Industrial labs and played educational video games. Before going to Metallurgical Labs, we had a Material Science lecture at Thuto 1-1. We then had an ENGAGE (Engineering Augmented Degree Programme) speaker. We headed to the main campus and had ninja contests as our team activities. Then it was lights out. We took buses to the main campus where we had our breakfast. We had an lectronic, electrical and computer engineering lecture and had a visit to the computer engineering lecture only. Back at Thuto 1-1, we had mechanical and aeronautic engineering lecture and went to the mechanical labs. Before having lunch, we had a civil engineering lecture and then we went to the civil engineering labs after lunch. Engineers working at BIGEN AFRICA gave us a lecture and gave us freebies too. We took a campus tour where we went to sci-enza and saw quite a number of amazing things such as discovered small and big animals, skeletons, mirror maze, anti-gravity mirror, etc. We then headed back to Groenkloof campus for a braai nights before lights out. It supplies and supports all domains such as air, land, civil security,military, etc. It is the best SA export company for 2013/14/18. Their acquisition and communication systems are used for monitoring, recording, communication management and they are deployed on fixed and rotary-wing platforms worldwide. All their products are developed and produced in SA. The avionics acquire AMS and gathers data from various sources. We also received an Engineering career guidance from Georgie George. Afterwards, we went to departmental lab tours: MA building, Antenna, LEDS Lab and DMS Lab. The vote of thanks was given by Carl Litsenborgh just before we left. We took buses to Groenkloof campus, checked out and took our bags then left for our homes. 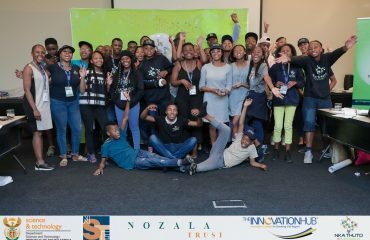 Nka’Thuto EduPropeller would like to thank the Black, Science, Technology and Engineering Professionals (BSTEP) – NPO for sponsoring edupropellers Joy Mathabatha (Ivory Park Secondary School), Agnecia Mokoena (Illinge Secondary School) and Ashleigh Manyara (Leondale Secondary School) to attend the EBIT week. The edupropellers are inspired to take over the world of engineering. About the author: Joy Mathabatha is a grade 11 learner from Ivory Park Secondary School. She is an edupropellers and a member of the Nka’Thuto Innovation Club at her school. Thulile Khanyile is a lecturer and Ph.D candidate at Wits. She is the co- founder and co-executive director of Nka’Thuto EduPropeller, NPO. The youth will pay for decisions made today! © 2018. NkaThuto. All rights reserved.